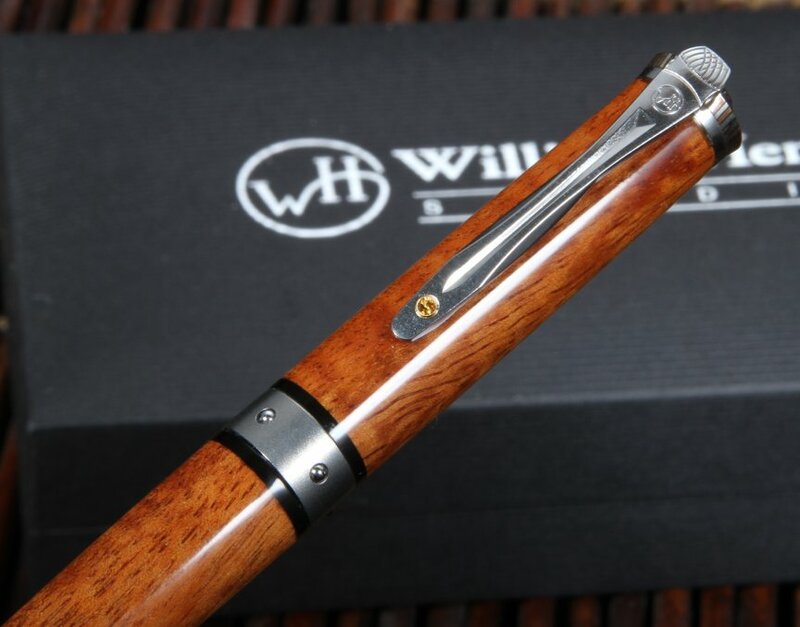 This TW1 Chablis twist pen by William Henry Studio has lots of high-end touches and a price that really makes it attractive for every day carry! 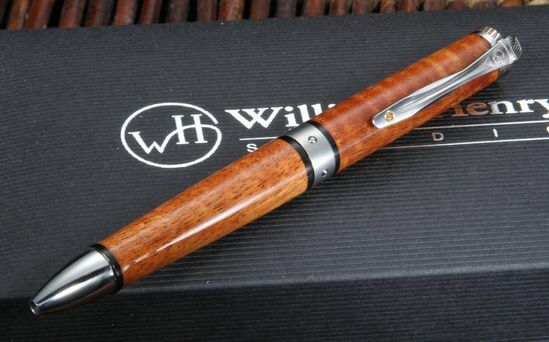 The twist pen features handsome curly Koa wood that is resin stabilized for durability. Very attractive machined mokume on the end, the frame is made from both titanium and stainless steel. 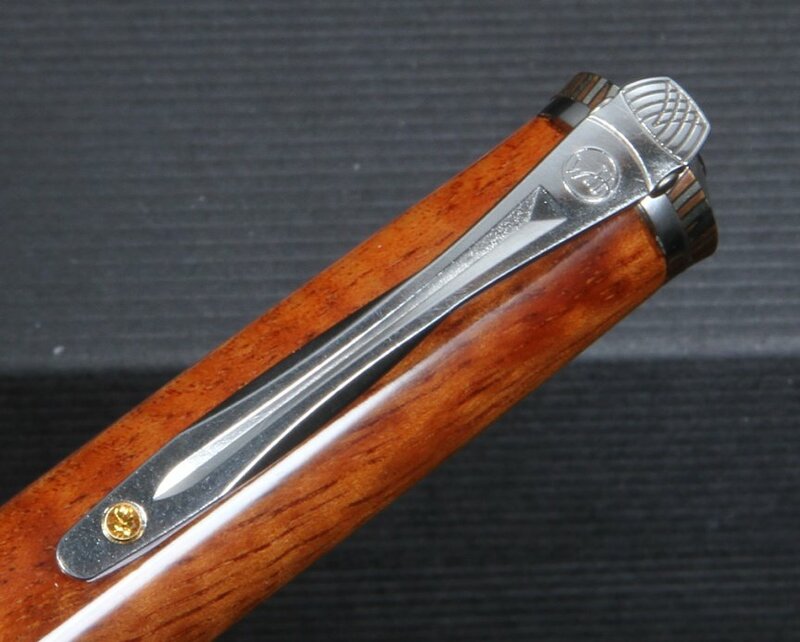 The pocket clip is made from stainless steel and finished with a spessartite stone. 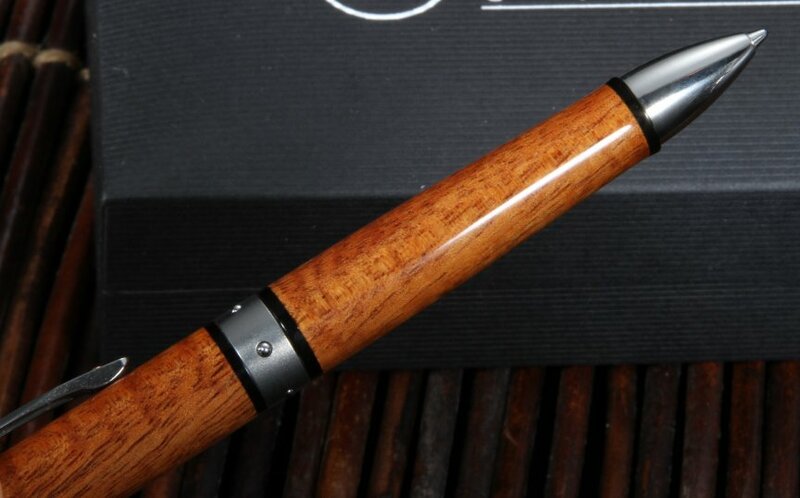 All visible 'silver' parts of the pen exterior are polished titanium. The twist mechanism allows the pen to retract and extend with a smooth motion by twisting from either direction. 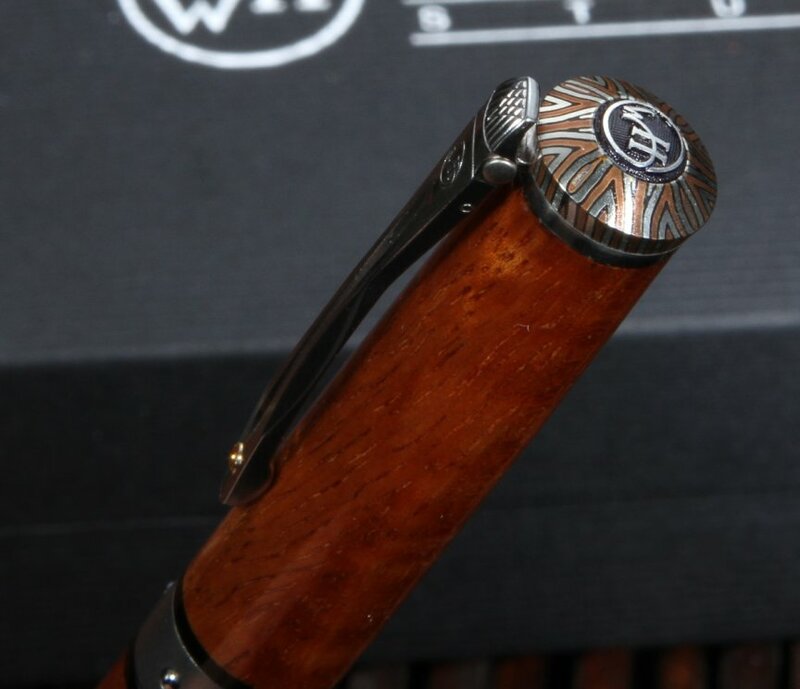 The TW1 twist pen comes in an attractive presentation box and certificate of authenticity. Length 5 1/4" long. Weight 1.1 oz.